It is with heavy hearts that we announce the unexpected passing of Nicola (Nick) Iagallo, age 74 on Saturday, August 11, 2018 at the Thunder Bay Regional Health Sciences Centre, following a brief illness. Nicola was born November 29, 1943 in Macchiagodena, Italy. Nicola met the love of his life, Teresa, and they married September 1962. They were blessed with 3 daughters, Angie, Anna and Marisa. Nicola immigrated to Thunder Bay in 1973 to provide a better life and his family joined him in 1976. Nicola worked for Arctic Masonry and Gasparotto Panontin Construction until his industrial accident in 1989, dictating his early retirement at the age of 43. Nicola was very active and enjoyed volunteering for St. Dominic’s Church and the DaVinci Centre, where he was a member. Nicola was an avid walker and could be seen in either Intercity Mall during the winters and Parkdale in the spring and summer. Nicola loved to dance and attended many events with Teresa. Nicola also loved to play bocce and took part in many bocce tournaments with St. Dominic’s Senior Club and the Da Vinci Centre. Nicola treasured his family and friends and most of all he was so proud of his grandchildren. He loved to garden and make wine in addition to instilling Italian traditions to his children and grandsons. Nicola took many trips to Italy and him and Teresa spent many summers touring and enjoying his family home in Italy. Nicola and Teresa also travelled to Lewiston, N.Y. to spend time with Marisa and family. Nicola is survived by his loving wife, Teresa of nearly 56 years, daughters, Angie (Mario Venditti), Anna (Tony Barile), Marisa (Domenic Barile), grandsons Dominic Venditti, Nicholas Barile, Domenic C. Barile and Noah Barile, sister Maria Iagallo (Italy) and many nieces, nephews and other relatives. Nicola was predeceased by his father, Domenico Iagallo, his mother, Anna Maria Manocchio, Sisters, Rosa (6 years old)(Italy), Rosa Gianfrancesco (Italy), Michelina Perrella (Australia), brother, Michele Iagallo (Australia) and infant granddaughters, Nadia and Nicole Barile. Nicola was predeceased by his mother-in-law, father-in-law, sisters-in-law, brothers-in-law and other relatives. Family and friends will gather for Funeral Mass on Wednesday, August 15, 2018 at 10:00 am, at St. Dominic’s Church celebrated by Rev. 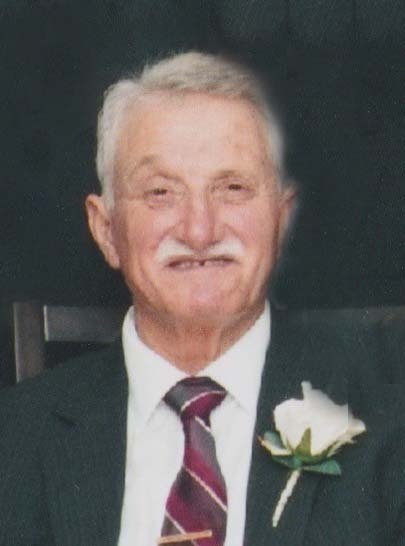 Maurizio Maifredi c.s.. Interment will follow in sunset Memorial Gardens. Prayers will be offered Tuesday, August 14, 2018 at 8:00 pm in St. Dominic’s Church. In lieu of flowers donations may be made to the Heart and Stroke Foundation. Nicola Iagallo will be remembered in the Blake Funeral Chapel Memorial Grove. Annual dedication service Sunday, June 9, 2019.